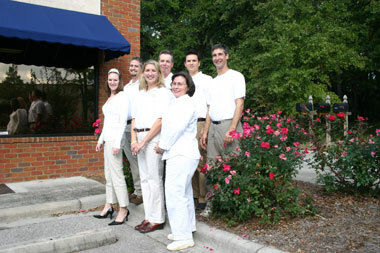 Northridge Appraisal Company, Inc. is located in Tallahassee, the capitol of Florida. We offer residential and commercial appraisal services in the Big Bend area. Our clients range from national lenders to local banks, individuals to state agencies and estate attorneys to large development companies. In addition, we offer real estate consulting services. Our professional and experienced staff provides our clients with quality work in a timely manner. Please take a look at our website to find out more about us. Northridge Appraisal has been providing appraisal services for almost 30 years; we are well-equipped and experienced in various areas of appraisal services. Our professionally staffed, full-service office can provide the client with personal assurance that the project or assignment is handled proficiently and expeditiously. In an ever-changing real estate market, experience is key to providing all of our clients’ needs. The company’s partners, William Farrell, Paul Hyatt and Angela Buchholz, have 45 years of combined appraisal experience. The office manager, Joy Moody, has 25 years of experience at Northridge Appraisal and the remaining staff has a combined 10 years of appraisal experience. Northridge Appraisal Company provides appraisal services in residential and commercial markets. Specific expertise can be provided in coastal markets, timber acreage, various commercial properties and all residential (single-family and multi-family) properties. Please note that our company does not perform pencil searches, comp searches or look-ups, which would make an assignment contingent upon a predetermined value. Florida Statutes and Uniform Standards of Professional Appraisal Practice do not allow for these types of assignments. Our appraisal company is staffed with professionals who are conscientious and promote integrity throughout the entire appraisal process. We are cognizant of the client’s requirements and will make every attempt to provide the client with high-quality appraisal or consulting work. All Right Reserved. Copyright © Northridge Appraisal Company, 2009.